1 Besides graduates in marketing and sales management, the FMCG sector needs those in the engineering, food technology and nutrition, law, human resources, supply chain and logistics too. So consider joining the sector for a fun and fulfilling career! 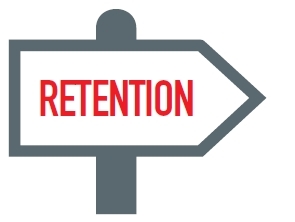 2 FMCG firms thrive on employee and customer retention. Employee investment is a big part of the ethos of the FMCG world. Perhaps it’s because they understand the importance of loyalty. Customer loyalty can make or break a brand. Take Twinings, for example – a century after they entered the top 100 brands list, they are still there and going strong. So it makes sense for FMCG companies to encourage the loyalty of their employees too. 3 The FMCG market has been growing consistently over the last few years. Opportunities come about as companies look to drive higher consumption in market segments like male grooming in personal care, foods such as chocolates and fabric softeners in the household care category. 4 Large multinational companies have been in Malaysia for a very long time. Unilever has been around since 1947, P&G since 1987 and Nestlé since 1912. 5 The culture in FMCG companies is open and informal. Many companies offer family friendly policies like flexible working hours and the choice of working from home. 6 The Malaysian FMCG sector has grown in the range of 5 to 7% per annum over the last few years.